In the North Ward of Newark, you can see the vitality of a neighborhood filled with hard working people. Building on that vibe, Regan Development is working to create Carrino Plaza, a brand new 4 story mixed use building to meet the housing needs of the local workforce. Named for former Councilman Anthony Carrino to honor his 28+ years of service to the neighborhood, Carrino Plaza will bring 60 superior quality rental residences for workforce individual and family housing. The mixed-use development will be located at 416-426 Broadway, and will also have retail/office space in what was formerly the site of the Newark Boys and Girls Club. The property will feature a community room for residents, a manager’s office, in building laundry facilities and 3 spacious residential levels. There will be 9 one-bedroom apartments, 37 two-bedroom apartments and 14 three-bedroom apartments that will provide wonderful spaces for individuals and families alike. The redevelopment of this site will allow Regan Development to continue its tradition of development in the interest of community vitality. Construction is expected to commence in early 2018. Following up on the success of Clifton Main Mews, Regan Development has embarked on a mission to transform a historically significant structure into a community resource, providing high quality rental apartments at rents that make sense for everyday budgets. At 1,000 Main Avenue in Clifton, the development team is about to start construction to revitalize the historic Passaic Worsted Mills building. Clifton Main Mews II is being created from this historically distinct, three-story “U”-shaped red brick and multiple bay factory building that was originally built in 1895 to house a wool mill. This venture will revitalize this historic piece of Clifton, transforming it into 92 modern rental residences for local members of the workforce. 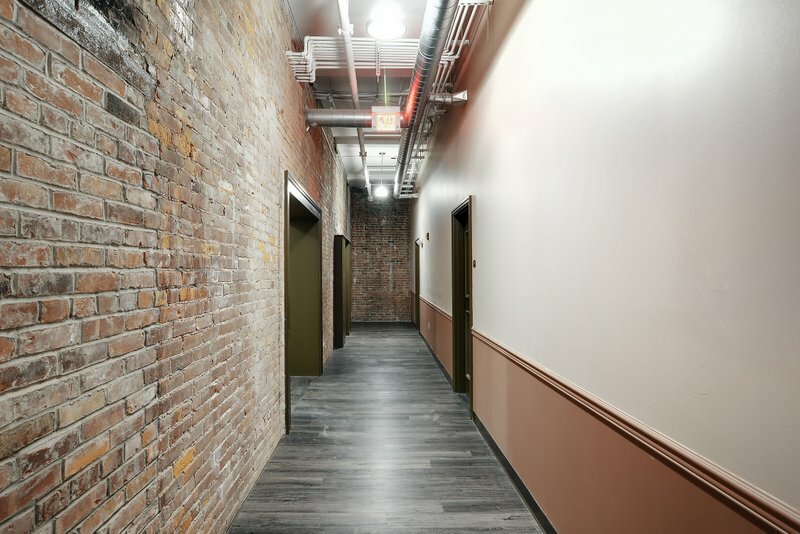 Upon completion, residents will enter through a centrally located lobby on the first floor that also houses the community room, laundry and management office. The rest of the development houses 18 one-bedroom units, 69 two-bedroom units and 5 three-bedroom units, each of which includes Energy Star dishwashers, refrigerators, individually controlled air-conditioning. There is a clear need for well-priced new rental housing in this part of New Jersey. Regan Development has recognized this need and is working with the City of Clifton and the State of New Jersey to bring a historic mill back to life, once again enhancing the community. 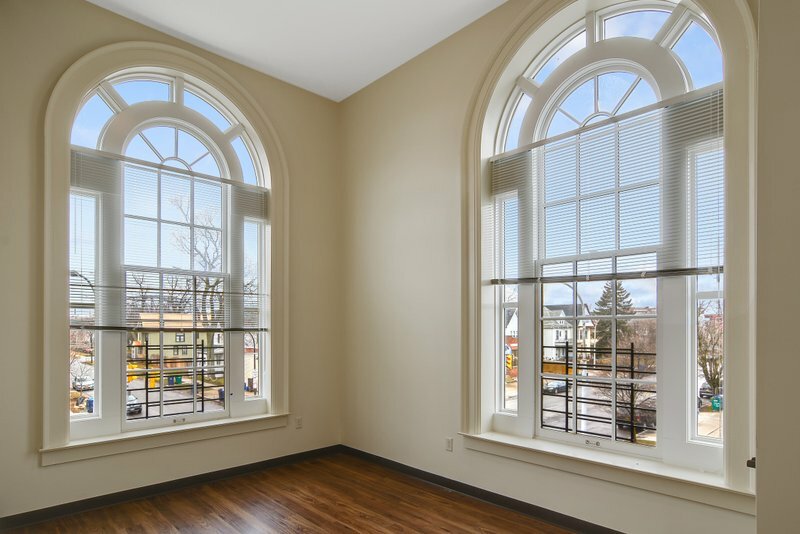 Regan Development is proud to create this opportunity while also giving a mill older than Clifton a new lease on life. Construction is expected to commence in Spring 2018. Lilac Ridge at Clarkstown is Regan Development’s newest active adult development – in a great spot in Rockland County, NY. Lilac Ridge will be two semi-attached 3 story buildings with elevators, providing 32 incredible rental residences for seniors. The site is in a quiet location, a stone’s throw from convenient shopping and entertainment along Nanuet’s Route 59. The development is easily accessible by public transportation via the Tappan Zee Express and Transit of Rockland. The combined 40 rental residences meet or exceed all ADA requirements for handicap accessibility and adaptability, and will provide rental opportunities for local seniors at a number of income levels. 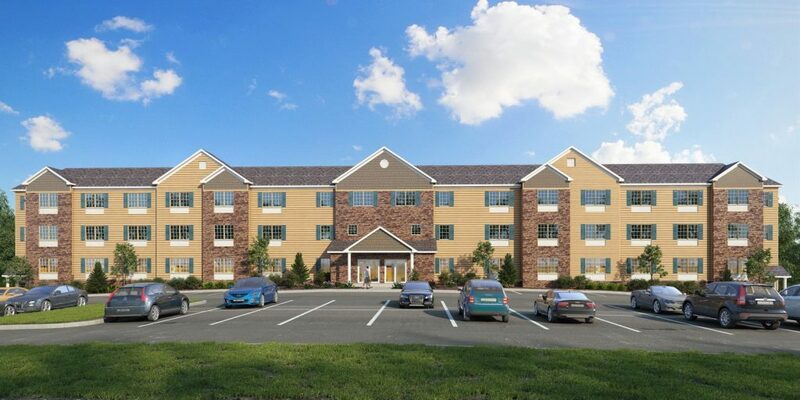 This new community will create a vibrant place for seniors to live – and will also create 8 apartments for people living with Developmental Disabilities, supported by the Rockland County Association for People with Disabilities — in the beautiful Town of Clarkstown. Construction has begun and construction is expected to finish up Spring 2019. The Century Sunrise Development is rising in the heart of Johnson City, NY, only steps from the Binghamton University School of Pharmacy and Pharmaceutical Sciences. 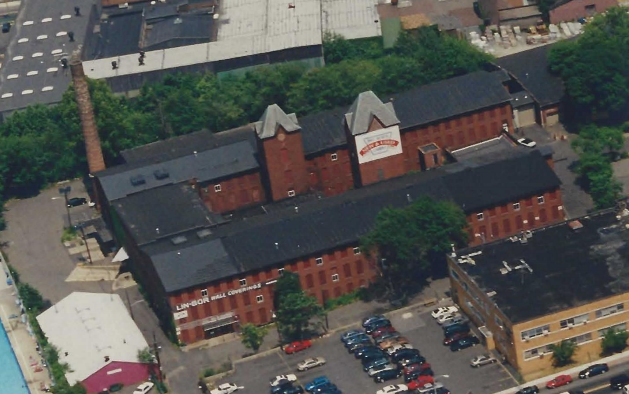 Century Sunrise sits on 2.38 Acres at 135-139 Baldwin Street and involves the rehabilitation of two long vacant brick and masonry industrial buildings, which were formerly part of the Endicott-Johnson Corporation Shoe Complex. This brand-new development will create 104 residential rental residences — available to individuals and families – providing affordability and high-quality housing to residents. The redevelopment will also have a 3,500 Square foot multi-level restaurant/café with a unique garden space between the two structures of this new, state of the art development. This former industrial shoe complex will bring new residential rental opportunities with 44 one bedroom, 56 two bedroom and 4 three bedroom apartments in a great location: down the block from UHS Hospital, across the street from the Binghamton Pharmacy School and just two miles from Binghamton University. Century Sunrise will continue the revitalization of this wonderful Live -Work community, where residents can live near their employers. Regan Development’s efforts in Johnson City are bringing foot traffic back to the neighborhood – a special neighborhood where the world’s largest shoe manufacturer once stood. 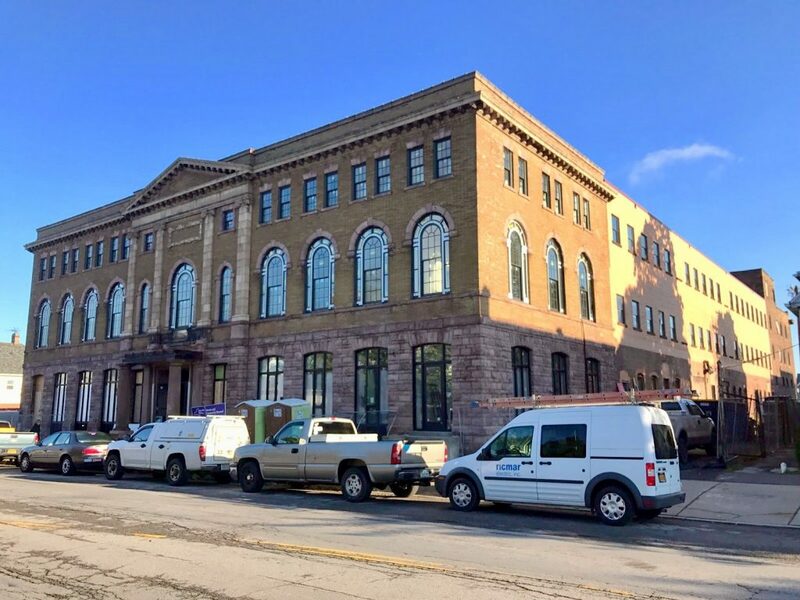 This historic structure was transformed into 53 state of the art spacious apartment homes and is located on Niagara Street in the heart of the the transportation friendly Niagara Gateway Economic Redevelopment District. Completed as an affordable workforce rental complex that will provide new homes for the community, and rents are targeted at $495 for 1 bedroom and $612 for 2 bedroom apartments with tenants paying for their own utilities. 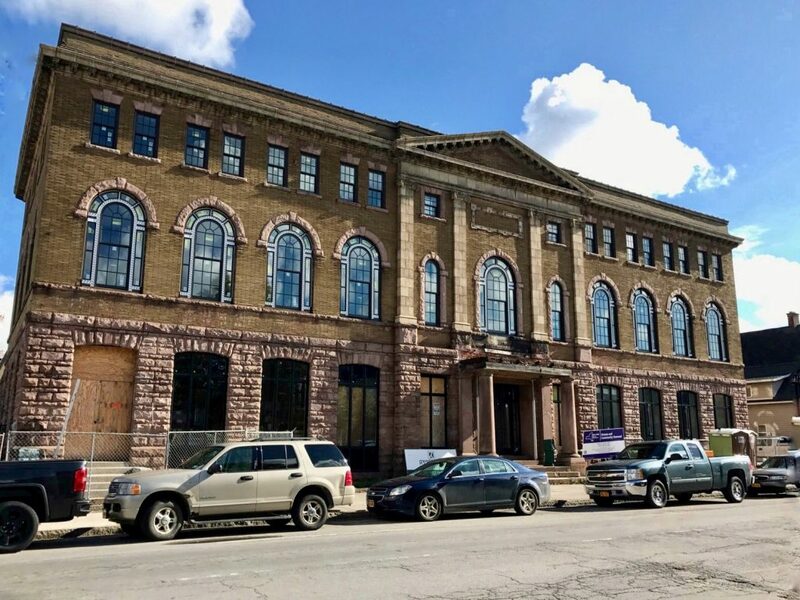 Regan Development is proud to work with NYSHCR, First Sterling Financial and the Community Preservation Corporation as financing partners for this historic redevelopment.